This could very well be the biggest boon or fist-fight in the DJ community as Pioneer announces a new addition to their turntable series. The PLX-1000S, the unassumingly normal looking deck, but with a groundbreaking new technology that allows to turntables to be synced via Pioneer’s proprietary pro DJ link feature. Pioneer has created a revolutionary new beat gridding technology for their already advanced rekordbox software, that has been implemented on these decks. By listening into just a few bars of your track, the process gets to work by figuring out the BPM of the track down to 3 decimals, this is then converted into a tick or clock source that can be transmitted by the pro DJ link to the other deck, which in turn can change the speed of the motor by the means of an internal circuit. However, it’s not possible to change the master clock from one deck to another like in the CDJ series. At the heart of this technology is this brand new circuit that has a very quick and efficient OS that can process audio for analysis much faster than it’s digital counterparts available on the XDX-RX2 series. What purpose does it serve ? There’s plenty of heated hate messages coming in from the self professed old school DJ’s on this new advent, it’s CDJ vs Vinyl all over again. However, when one looks at the importance of playing on records in order to establish oneself as some kind of authority over their peers, and with the recent surge in vinyl sales, this could have not come at a better time. 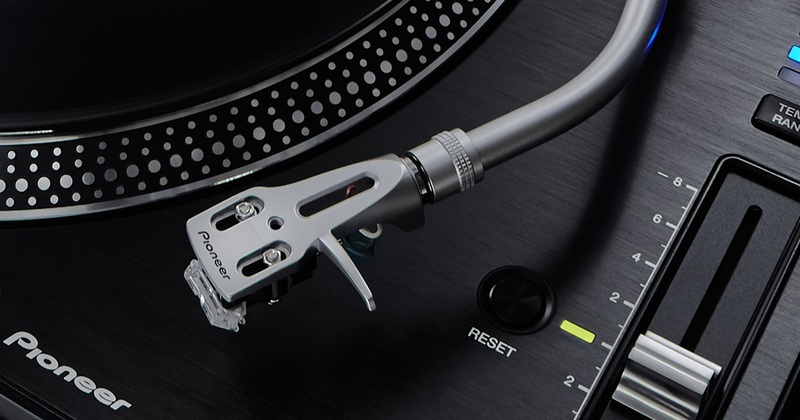 Pioneer hopes that this will bring about a new set of standards in the DJ community, it will also allow users to seamlessly rip their vinyl collection into rekordbox and further export it for playing it via USB on any of their other multi-players and controllers. At this point, only 2 decks can be linked without CDJ like support for up to 4 units. At time time, we only have limited information on the features, we predict this might be reasonably expensive being a very exclusive technology, and as always with Pioneer’s extensive testing and artist endorsements, we expect this to hit the market early 2019. We would love to hear how you perceive this as a DJ if you haven’t yet realized that this is an elaborate prank.